There's been lots of hype and anticipation about this nondescript little sushi shop nestled within Wisma Atria's Food Republic food court. Our foodie friend went to that place even before it was so popular, and he came back with the verdict that it was so good, we have to go and try it out. This is actually my second visit with my other friend, who also happens to be a fan of their sushi! 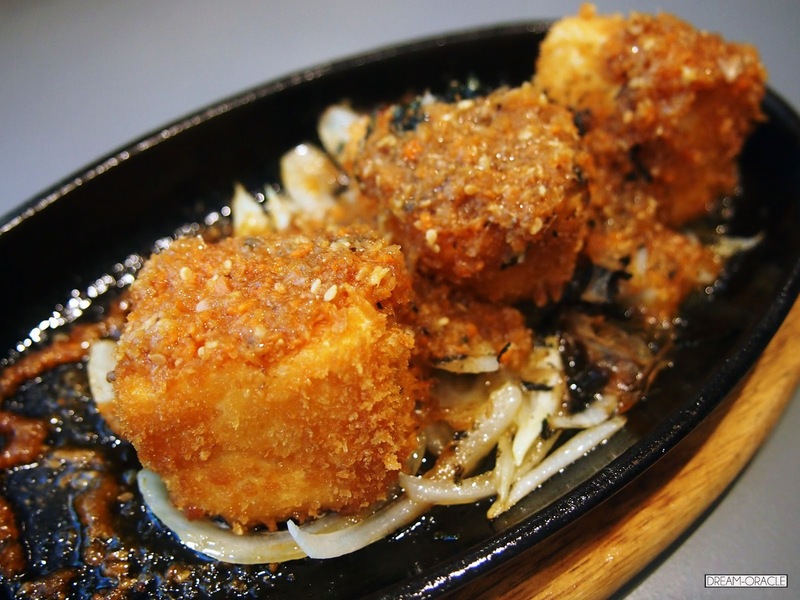 A different take on the Agedashi Tofu, this comes on a hot plate with sizzling sauce! The tofu was soft and the exterior sufficiently crispy. Pair it with all the onion slices and the sauce, it's really quite unlike anything I've ever tasted! 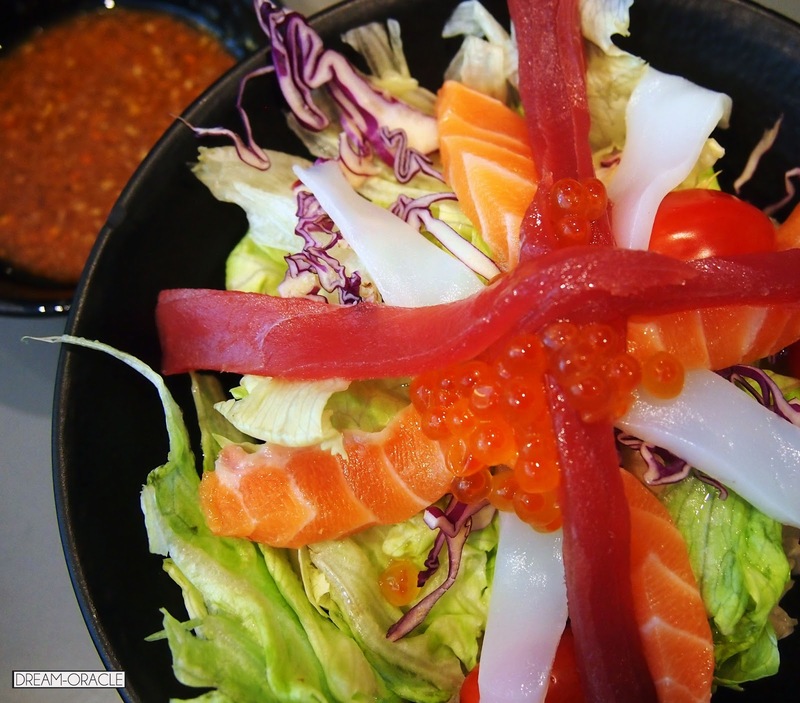 We also tried their salad, the sashimi slices were really fresh. But I felt this dish only fared an okay. It was alright, nothing really remarkable. Now, this is something not to be missed! The Shiok Maki is Koh's specialty dish, and I think you can see why. 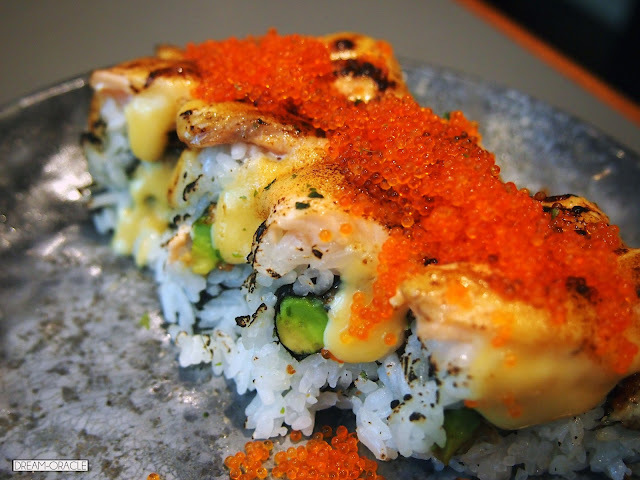 Charcoal grilled eel and avocado are wrapped in a layer of rice, then topped with lightly torched Aburi salmon and a generous portion of fish roe. It it then drenched in their special cheese sauce, the whole experience is just SHIOK! The blend of flavours - slightly smoky flavour, creamy avocado, tangy special cheese sauce and the burst-in-your-mouth fish roe, is just amazingly tantalizing. This sushi rocked my world. This is a highly photogenic and delicious dish that is not to be missed. This is another one of my favourite dish. The Volcano Maki has a wholly different flavour as compared to the Shiok Maki. 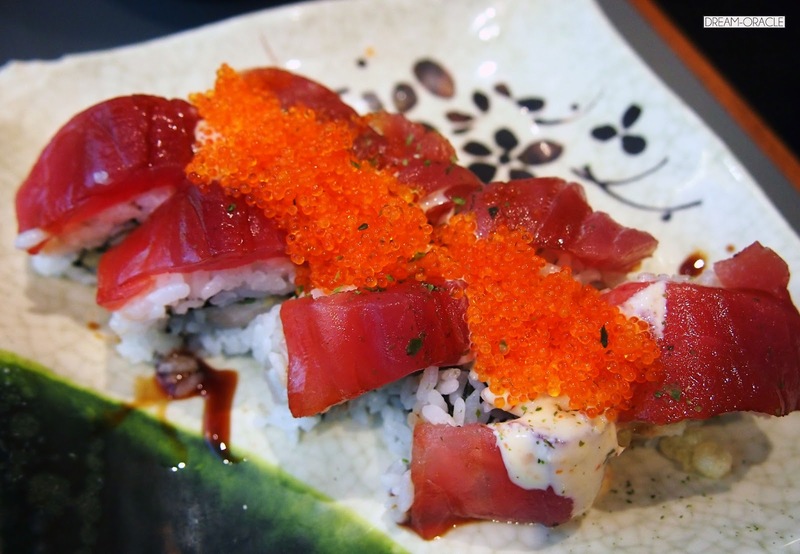 The Volcano Maki has a slightly spicy taste, and the overall flavour is much more refreshing and light. 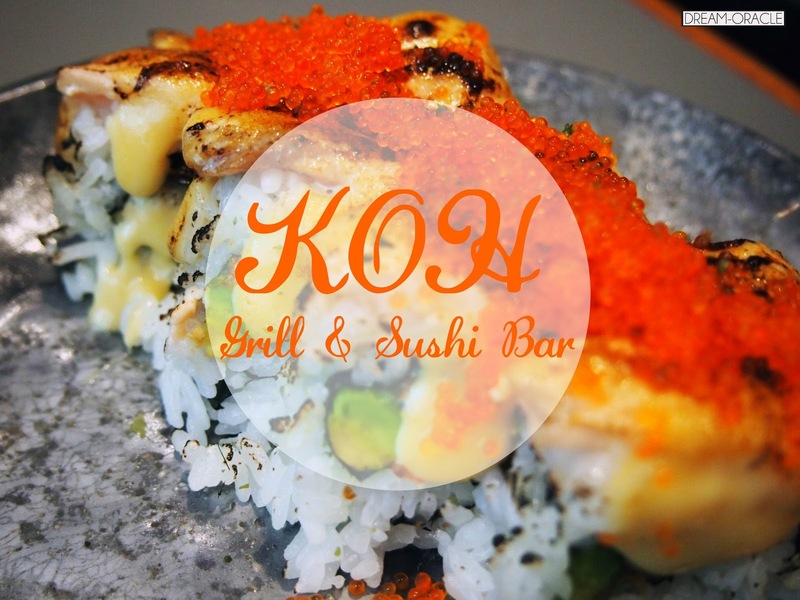 Definitely worth a return visit, because their maki rolls are just so delicious and addictive!